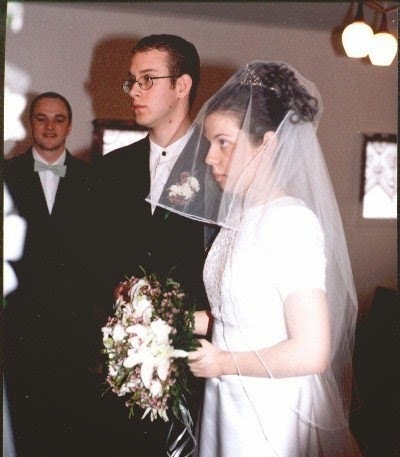 13 years ago in front of family and friends we repeated our vows that would last a lifetime. 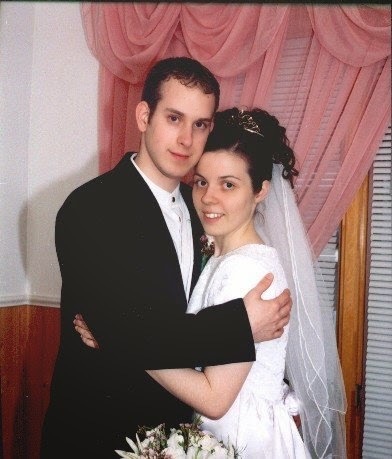 I, Terri , take you, Andrew, to be my husband, my constant friend, my faithful partner and my love from this day forward. In the presence of God, our family and friends, I offer you my solemn vow to be your faithful partner in sickness and in health, in good times and in bad, and in joy as well as in sorrow. I promise to love you unconditionally, to support you in your goals, to honor and respect you, to laugh with you and cry with you, and to cherish you for as long as we both shall live. 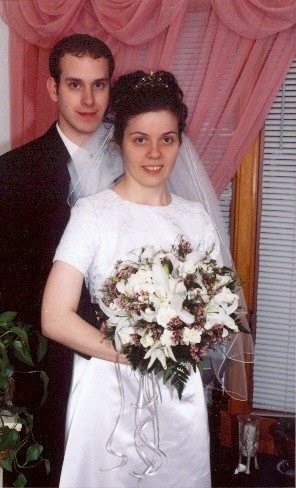 I, Andrew, take you, Terri, to be my wife, my constant friend, my faithful partner and my love from this day forward. In the presence of God, our family and friends, I offer you my solemn vow to be your faithful partner in sickness and in health, in good times and in bad, and in joy as well as in sorrow. I promise to love you unconditionally, to support you in your goals, to honor and respect you, to laugh with you and cry with you, and to cherish you for as long as we both shall live. I can go on and on, you are just incredible and I am a lucky lady to be your wife. I've known you my whole life. But only in my heart. I would dream of you for so long. So many represented you. My dad. Every Ken doll I ever played with. Every prince in every Disney cartoon. The lead character in every John Hughes film. And, then you became a reality. But only after I found me could I find you. Because you stood for the other half of me. You allowed me to be me. You've helped me achieve my dreams. I reach further knowing if I fall you'll be there to catch me. You've given me the greatest gift I can ever know. The gift of motherhood. The life we've created together was made out of pure love. We will raise her with pure love. And, one day we will smile at each other knowingly as she finds her own soul mate. Thank you my love for the brilliant life we've created together. Thank you for making all my dreams come true. My words fall short to express what my heart really feel so deeply. You love me just the way God created me, with every scar and imperfection. You can see past my outward flaws into the depths of my heart and you love me just the same. Just one look or a hug from you I know everything will be ok. 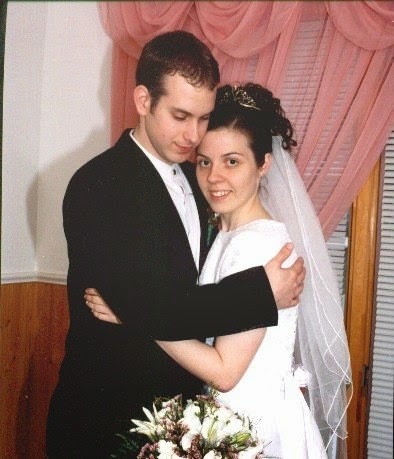 Happy Anniversary - this is a sweet, sweet testimony! Blessings for your wonderful future together and many more years of happiness!